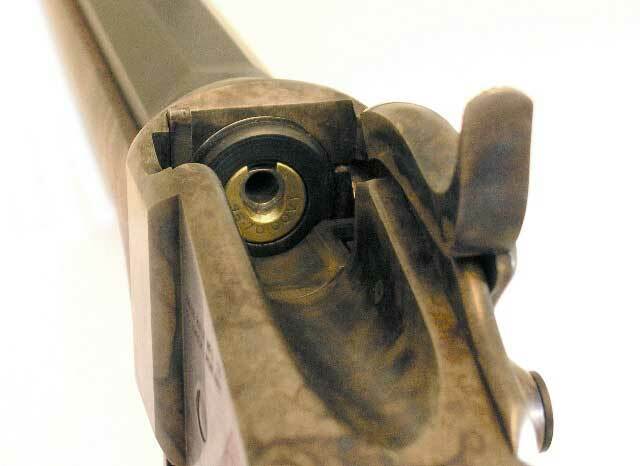 Crossno .22 caliber barrel liner provides an easy and economical practice with your Shiloh. These liners use an offset chamber so as to work with center fire cartridges, based on .45 Basic case heads. They use a brass chamber piece with a Redmond .22 cal. liner, rubber coated to protect the bore and a muzzle tip to help catch residue from firing. 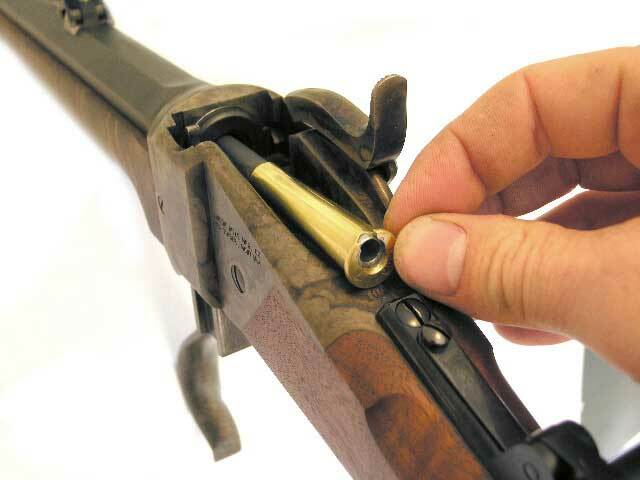 Accuracy is quite good and very acceptable for practice and .22 BPCR competitions. Dave has made these for over 12 years and he stands behind them 100%. Allows you to shoot .22 caliber all day. The length of the liner is 25 3/8". Order the insert to the caliber of rifle. Easy to use and helps with that offhand shooting. The .22 insert slides into your existing barrel/chamber. Also includes a cleaning rod jag attachment for removing the liner from the muzzle. Available in 40/65 and 45 calibers only. Please specify when ordering.